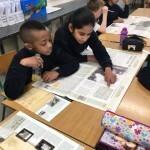 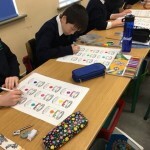 The boys and girls in Room 15 have been learning all about The 1916 Easter Rising in Ireland. 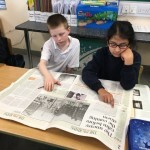 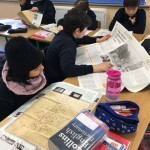 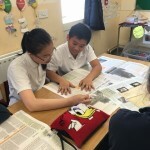 They also got a chance to explore some newspapers and read about life at the time of the Rising and the people involved. 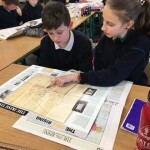 They read about how much Dublin City changed during this time and they looked at maps of the places that were used during the fighting. 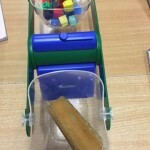 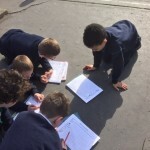 It was really interesting and we reported back what we had learned to the class. 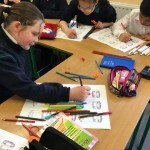 Room 15 – Pop artists! 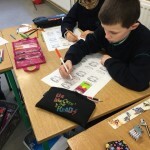 In Room 15 the pupils were learning about pop art and some of the artists associated with this type of art. 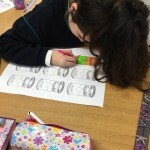 We learned about artists like Roy Lichtenstein, Keith Haring, David Hockney and Richard Hamilton. 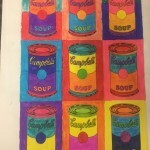 The most famous artist that we were learning about was Andy Warhol. 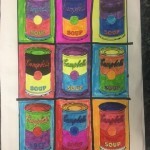 We created our own Andy Warhol inspired pop art. 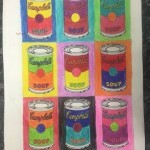 The are really colourful and they really ‘pop’!! 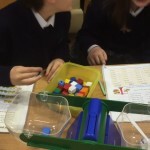 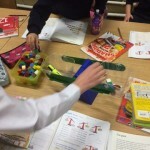 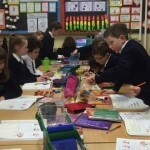 Room 6 – Mathematicians at work! 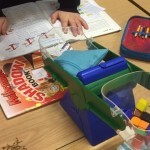 Exploring the topic of weight in room 6. 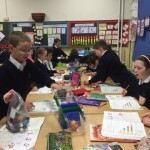 Take a look around your house- what items do you think will weigh less than a kilogramme? 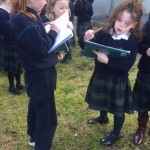 Why not investigate for yourself! 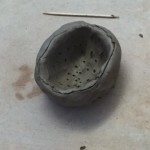 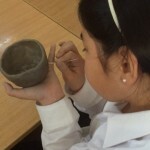 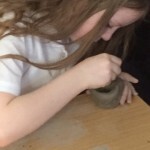 Room 6 created pretty clay pots with interesting designs. 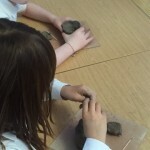 They are looking forward to painting and decorating them. 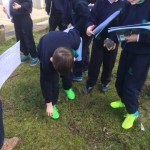 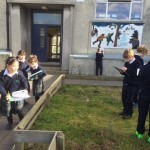 The boys and girls in room 6 investigated different materials in our school grounds and they recorded their findings. 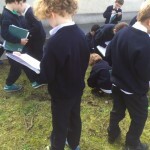 They enjoyed being scientists! 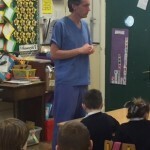 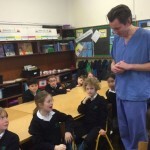 The children in room 6 enjoyed a visit from a local vet. 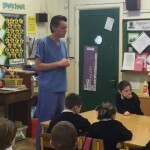 They learned all about how to care for their pets!